It’s 100 degrees here today, which is not normal for Wyoming in June. It’s “Help me, I’m melting, what a world, what a world,” weather, which is why I’m blogging from my basement. Summer is here in every sense of the word. 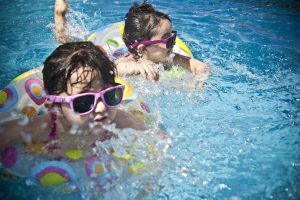 It means swimming lessons, evenings at the lake, cook-outs, and all those mean sunscreen! Sunscreen has gotten some bad press lately. Is it really as bad as they say, and why? Is it worth wearing at all? Sunscreen has gotten some pretty bad press over the past few years. Numerous sites focused on healthy and natural living warned readers about the dangers of sunscreen. 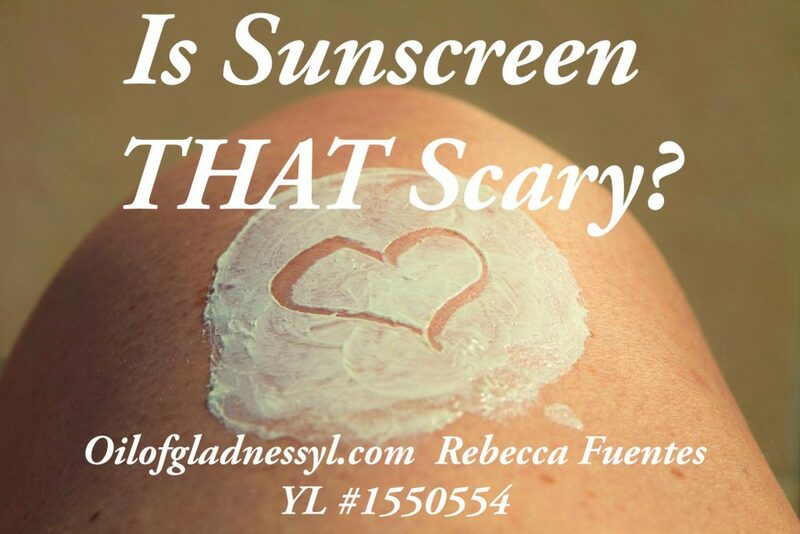 It seems like quite a switch, because for years, everything about summer sun safety said to wear sunscreen. Apply it early, apply it often, apply it daily. It’s mentioned in beauty advice columns so we can avoid photoaging and in health advice columns as the way to avoid skin cancer, especially malignant melanomas. Why in the world would anyone think sunscreen is dangerous? The concern comes from two directions. First, there is concern that not all sunscreens actually work as advertised. As described here, on PubMed, sunscreens are mostly effective in sunburn prevention. Most consumers believe that if they avoid a burn, they have also avoided skin cancer risk, but that’s not the case. Not all sunscreens provide the broad spectrum UVA and UVB protection necessary to prevent risk, and not all sunscreen users apply as thoroughly and regularly as necessary. There is also concern that regular sunscreen use can cause vitamin D deficiency. This brings us to the second concern about sunscreens: damaging ingredients. The Environmental Working Group points out that sunscreen is unique among personal care products. It covers large parts of the body, is applied frequently, can be inhaled or ingested accidentally, and is intentionally exposed to UV radiation for long period of time. It must be safe and effective in all those situations. To increase the level of SPF, many contain chemicals that help the sunscreen penetrate deeper into the skin. This allows ingredients to be absorbed into the body. The 9 most common ingredients in chemical sunscreens were grandfathered in in the 1970’s. The little research available on them shows that they do interact with different hormones in the body, including thyroid and reproductive hormones. Oxybenzone is the most concerning chemical. Studies show that topical application does penetrate the body. Other studies have shown effects on testosterone levels, as well as effects on babies whose mothers used products containing oxybenzone while pregnant. Because of its effects on the endocrine system, and its ability to remain in the body, Breastcancer.org also recommends avoiding oxybenzone. It does people little good if they avoid one cancer risk in exchange for raising the risk for a different cancer. So what are we to do? Staying inside all summer, or even just during peak hours, seems pretty dull. While everyone agrees that sun avoidance, staying in the shade, and wearing hats and clothing as protection is superior to sunscreen, it isn’t practical for everyone. A more versatile option is mineral sunscreen, which uses titanium oxide or zinc oxide to deflect UVA and UVB rays. Some products use nano-sized particles for these, though. The tiny particle size has its own concerns. If the product is a spray or powder, the tiny particles can be inhaled, risking irritation or damage to the lungs. Using nanosized particles can increase the risk of skin irritation and penetration. They have also been found to increase free radicals, which works directly against the reason for sunscreen! It’s better to find a product that doesn’t use nanosized particles. Yes, you can safely enjoy your summer, but you have to be informed and pay attention. There is a special note of caution about spray sunscreens. I know, these are quick, convenient, and you don’t need someone to reach that impossible spot in the middle of your back. However, both Consumer Reports and Scientific America recommend against using spray sunscreens, especially on children. Spray-on mineral sunscreens use nanosized particles, which should not be inhaled. Chemical sunscreens are not better to inhale. The ingredients can trigger asthma and allergies, as well as general lung irritation and inflammation. They also contain the same chemicals that are considered risky if they are topically applied. Spray application allows a much more direct route into the body. Worse, Australians (who love their sun-time) have found spray sunscreen to be extremely ineffective. Many brands contain less of the active ingredients than needed. People also regularly underestimate how much they need to apply. For the little coverage it provides, it’s not a good financial choice either, inhalation risks aside. The best ways to avoid sunburn and lower skin cancer risk are to avoid the sun during peak hours, 10 AM to 3 PM, seek shade when you are outside, and keep as much skin as possible covered. Cover the rest of the skin with a cream mineral sunscreen that uses non-nanosized particles of titanium or zinc oxide. I recommend Young Living’s Mineral Sunscreen, which is available in SPF 10 and SPF 50 and contains safe non-active ingredients as well. You can check EWG’s list of recommended sunscreens for other options. We all want to enjoy summer, whether we’re at work, at the pool, or going for a hike and a picnic. We can still do it safely, if we keep a sharp eye on the ingredients in our products. Previous Post Manic Monday: It’s Summer, Why Don’t I Feel Relaxed?